Mission Guild Studio is a “Unique” dual artisan studio specializing in a revival and renewal of Arts & Crafts era ideals. 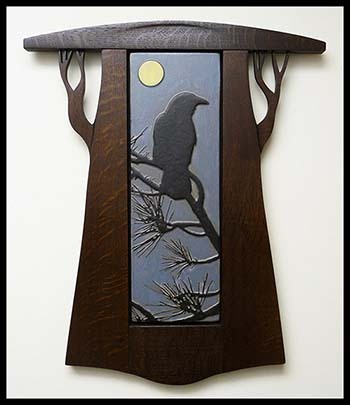 The studio is owned and operated by Christie A. Schorf-Miller and James M. Miller; Christie and James are a diverse artisan/craftsman team working solo as well as collaborating on the next level of Mission & Arts and Crafts in America. James studied at both the New York School of Interior Design and at FIT in New York City; with a concentration in Design. Christie received both an honorable Phi Theta Kappa Degree from Cazenovia College in Cazenovia, New York; with a concentration in Commercial Art & Illustration and a Bachelors Degree in Art History, from the State University of New York, with a concentration in Sculpture & Design. • Originality of expression and Professional recognition. Christie has received Roycroft Master Artisan status for her outstanding work in Clay. James has received the Roycroft Master Artisan status for his outstanding work in Wood. 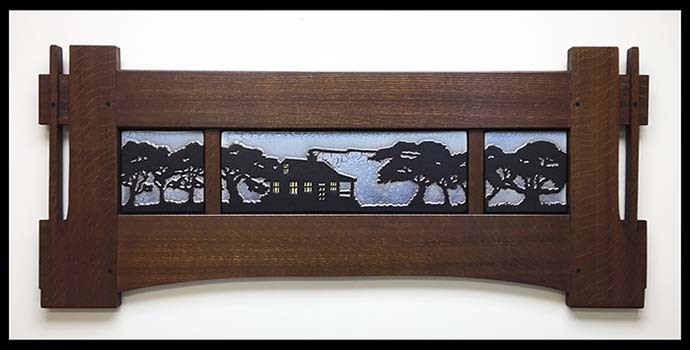 Christie has also received the Roycroft Artisan awarded status for her works in Metal/Jewelry. With a strong passion and established philosophy of Forward Thinking in the Craftsman Tradition this artisan studio offers both unique, traditional & one of a kind furnishings and dcor. 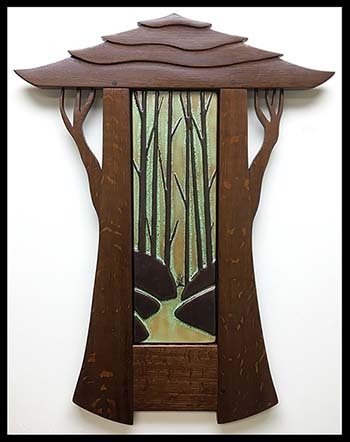 James and Christie specialize in multi-mediums such as Rare Hardwoods, Clay, Precious Metals, Paintings and More. Individually the artisans each bring you over 20+ years of experience and education in the arts and design. Influenced & Inspired by the Arts & Crafts movement many of the Mission Guild tiles are created with the same hand crafting methods used by both Ernest Batchelder and Moravian. Although sometimes asked about doing so, the artisans at Mission Guild do not create exact reproductions of any prior or present artisans work but rather they develop new works embracing those designs, ideals & inspirations. Their main focus is on the one or few of a kind.